We maintain several market timing models, each with differing time horizons. The "Ultimate Market Timing Model" is a long-term market timing model based on research outlined in our post Building the ultimate market timing model. This model tends to generate only a handful of signals each decade. My inner trader uses the trading component of the Trend Model to look for changes in direction of the main Trend Model signal. A bullish Trend Model signal that gets less bullish is a trading "sell" signal. Conversely, a bearish Trend Model signal that gets less bullish is a trading "buy" signal. The history of actual out-of-sample (not backtested) signals of the trading model are shown by the arrows in the chart below. Past trading of the trading model has shown turnover rates of about 200% per month. Macro-economic analysis: I am grateful for the work by New Deal democrat in his recent post A roadmap to the next recession. This chart from Gene Epstein at Barron's shows the risks to equities should economic growth stall and roll over. While stock prices can fall and correct at any time, the most severe declines have been associated with recessions. Growth and valuation: I think of stocks in terms of the two components of the PE ratio. First, how much is E like to grow? Second, will the P/E ratio expand or contract? The big question in the current environment is the intersection of growing E as the Fed embarks on a tightening cycle. How will stock prices respond as earnings rise, but higher interest rates puts downward pressure on the P/E ratio? Supply: The fracking revolution is a revolution. For the first time in history, advances in engineering has allowed us to extract oil and gas from oil bearing rock, which means that any geology that formerly produced oil, such as Pennsylvania, is has the potential to produce oil again. Jaffe did not, however, address the cost question and said in so many words that these are engineering problems, which can be solved over time. In effect, don`t expect much more upside in the price of oil. Like OPEC, they [Big Oil] assumed the value of their reserves of this finite, critical commodity would, more or less, keep rising over time. So a barrel not produced today, even if it cost a lot to find or acquire, is effectively money in the bank. This is why the majors obsess over their reserves replacement ratio, measuring how many new barrels come in to replace the ones they pump out. Now, the upcoming Saudi Aramco IPO raises one troubling possibility: That the assumption of endlessly rising reserve value may no longer hold true. A flurry of paradigm-shifting announcements out of Saudi Arabia came soon after a speech in October by BP's chief economist. He posited that the shale boom undercut the notion of peak oil supply, while efforts to curb carbon emissions raised the possibility of peak demand. Denning went on to suggest that the upcoming partial privatization of up to 5% of Saudi Aramco representing a Saudi strategic shift to produce at any price, rather than to bank the oil in the ground because it is becoming a commodity with diminishing value. Saudi Arabia's sudden desire to sell shares in its national champion and generally shift the entire economy away from its oil addiction suggests it at least entertains those possibilities. It also provides a rationale to maximize production at any price, rather than risk barrels being left worthless in the ground. Shale boom + carbon emissions curb = Peak Oil demand. It's time to change the thinking on the management of this resource and sell it as fast as possible because some of those assets will become stranded in the future. Call it the Hot Potato Theory of oil. Since then, the SPX weakened to test an important technical support at 2040, which represents the neckline of a potential head and shoulders formation. (As all good technicians know, a head and shoulders formation isn't complete until the neckline is broken.) 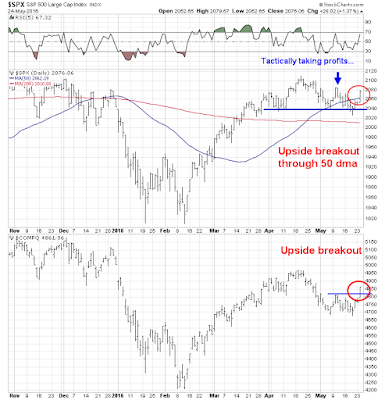 While the market did break 2040 last week on an intra-day basis, neckline support held. In addition, the NASDAQ Composite confirmed the strength today by staging an upside breakout through resistance. The stock markets improved in Europe or Asia. Let's consider what has happened since then. Further to my last post (see Three steps and a stumble? ), I would like to clear up some misconceptions about how I interpret the yield curve and its investment implications. Much of the confusion revolves around the idea of correlation vs. causation. Yield curve inversions don't cause anything. Yield curve inversions are a signal (correlation) of certain effects that have important investment implications. The market action last week played out roughly as I expected. Stock prices were choppy and displayed a series of lower highs and lower lows, though the technically important 2040 support neckline of the head and shoulders pattern did not break decisively (see Waiting for the storm to pass). The short-term trend remains down and key intermediate term indicators has not reach oversold levels, as measured by the NYSE McClellan Oscillator (NYMO) breaching the -80 level and VIX Index moving above its Bollinger Band, which suggests that the current corrective action isn't finished. ...specifically, I would like to explore the possibility of the bearish three steps and a stumble scenario, which follows the old trading adage of three Fed tightening moves will tend to lead to a stock market stumble. This scenario is becoming a real possibility as the US economy is still in a fragile state. How would you feel if the average doctor was right 55% of the time? What if a "superstar" doctor, the one whose new patient waiting list stretched out for 1-2 years, was right 60-70% of the time? That's how thing work in investing. A "good" quantitative factor, or system, is often acceptable if it has a 55% success rate. If you get a 65% success rate, you are a superstar. Some systems have success rates of less than 50%, but the average value of their wins dwarf the average value of their losses. Finance quants are often said to suffer science envy. They employ scientific techniques to find alpha, but they do it in an environment where the signal-to-noise ratio is very low. 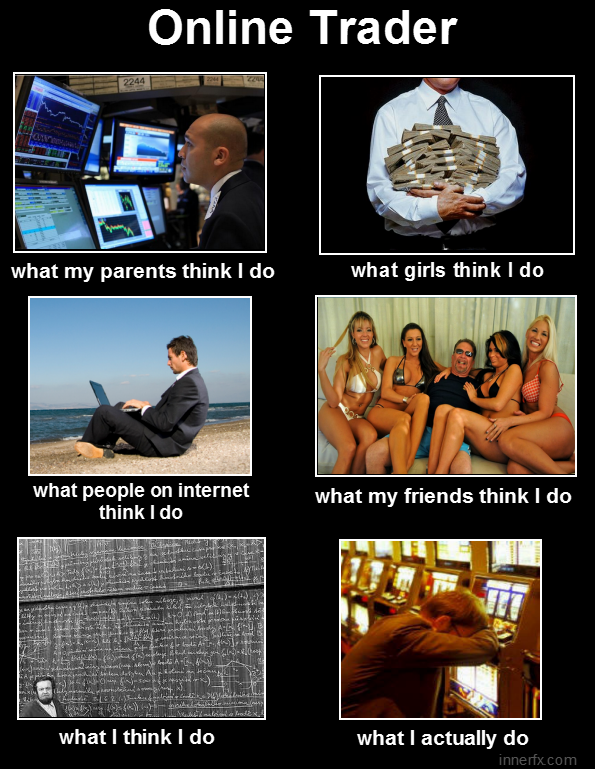 Let`s not kid ourselves, we know what day traders, swing traders and system traders really do. By contrast, the signal-to-noise in the sciences tend to be higher. Viewed in isolation, that can be a cautionary tale for all quant researchers and systems traders who think that they may have found their path to riches. What's spooking the stock market? Mid-week market update: No, it isn't just a more hawkish Federal Reserve that's spooking the stock market. Stock prices were been falling before Fedspeak and the latest FOMC minutes sounded a more hawkish tone. The SPX staged a successful test of its 2040 neckline support of its head and shoulders pattern today. In fact, today`s action could be interpreted constructively as it is experiencing a minor positive divergence on RSI-5. 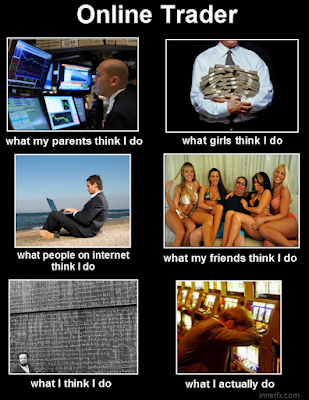 Don`t blame the Fed. Market weakness is a symptom, not the cause of the retreat. I turned more cautious on the stock market last week because of growing market fears of a slowdown in China (see Tactically taking profits on the commodity and reflation trade). 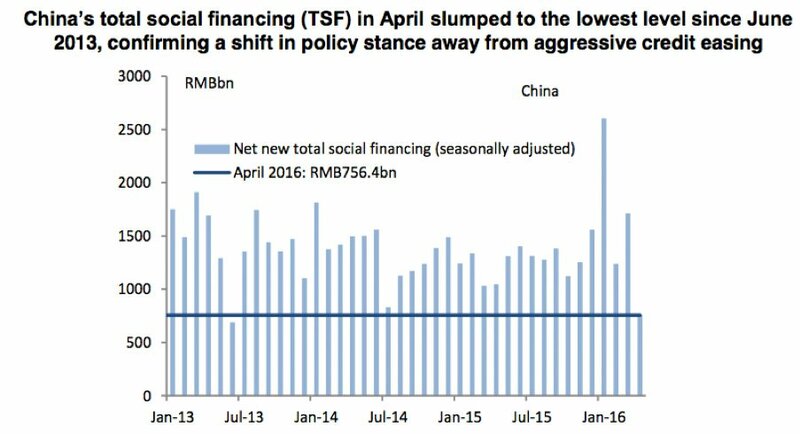 There seems to be a bifurcation starting to occur in the global economy. The US macro picture looks fine as the American economy is motoring along, as evidenced by the latest news of the April rebound in industrial production. Outside the US, the picture looks far less rosy. The latest BoAML Fund Manager Survey revealed the top two tail-risks on fund managers' minds were Brexit and China, which did not appear as a source of concern in the previous month's survey. It's no wonder that the markets are getting spooked. Here's how I am preparing myself and how I would watch for the turn upwards, should it come. Much of the extra liquidity sloshing around the system has created a great ball of money that has bounced around from one asset class to another, such as property, stocks and commodities. The April readings marked a sharp swing in fortunes, especially in new credit: where March saw aggregate financing jump by more than all economists had forecast, April’s number undershot all 26 predictions. Such gyrations -- long a feature of the nation’s stock market -- add to the challenge for policy makers and foreign investors seeking to get a read on an economy caught in a multi-year slowdown and struggling to stabilize. China’s central bank reassured investors that monetary policy will continue to support the economy after a sharp slowdown in new credit last month, and said the lending slump was temporary. The deceleration in the growth of new yuan loans in April was mainly due to a pick-up in a program to swap high-cost local government debt for cheaper municipal bonds, the People’s Bank of China said in a statement on its website on Saturday. 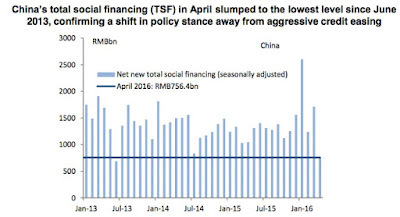 No less than 350 billion yuan ($53.6 billion) of such swaps were conducted last month, while aggregating financing growth was affected partly by a decrease in corporate bond issuance, according to the central bank. My last blog post created a bit of a stir among readers as I was inundated with questions (see Tactically taking profits in the commodity and reflation trade). To reiterate, I made a trading call to get more cautious based on a developing slowdown coming from China, which was signaled by falling commodity and Asian stock prices. Put simply, stock prices depend on two factors. The first is earnings, or the E in the P/E ratio - and earnings are growing. The second is the P/E multiple, which is a function of the outlook for interest rates and future growth, both of which are showing equity friendly tendencies. Investors just have to wait out the storm. The growth scare intensifies and the market breaks support, with a measured SPX target of 1970-1980. It seems that circumstances are converging towards scenario 2 and 3. It`s time to make a call to take trading profits in both the long SPX and commodity positions. The combination of excessive market positioning and weakness in China are raising red flags, from the viewpoints of cross-asset and inter-market analysis. You can also come over to the site and check out our track record. When will the market start to discount a Trump presidency? Let me make myself very clear. As a Canadian, I have no horse in the American presidential race, but Donald Trump is a clown. He is a loose cannon on deck. He could also become the next president of the United States. So when does the market start to discount the potential effects of a Trump presidency? We would like to announce our "Sale in May" event, where you can get US$50 off the first year of an annual subscription. This offer is only available to the first 100 who sign up or until May 31, whichever comes first. Anything like this we do usually sells out fast so I suggest that you sign up ASAP before missing this golden opportunity. For more details, click here to get your secret coupon code. My inner trader uses the trading component of the Trend Model seeks to answer the question, "Is the trend getting better (bullish) or worse (bearish)?" The history of actual out-of-sample (not backtested) signals of the trading model are shown by the arrows in the chart below. Past trading of this model has shown turnover rates of about 200% per month. Momentum is a funny thing. Share price momentum isn`t necessarily an indicator of business momentum. Sometimes a stock is falling simply because investors are taking profits after its outperformance or because a portfolio is changing its risk profile in a volatile market. There are countless reasons why share prices move. Last year's narrow market is a case in point. Investors might assume that the underperformance of a large swath of the U.S. stock market means that most companies are in bad shape. There is, however, another plausible interpretation: It could also mean that there are a lot of buying opportunities in undervalued companies, ones that have a much better business than is widely believed. In other words, don`t confuse price momentum with fundamental momentum. So what's the trend in macro and fundamental momentum? Oh PUH-LEEZ! How real does the latest growth scare look to you? Mid-week market update: In the short run, the SPX has pulled back and appear to be about to test its 50 day moving average (dma) at 2040, while experiencing a positive divergence on RSI-5. The SPX saw a Golden Cross last week - and the right way to trade these signals is to use the faster moving average as a trailing stop. Until the 50 dma is breached in a definitive way, my inclination is to give the bull case the benefit of the doubt. Will an oil spike kill the stock bull? Unemployment is now at 5.0%, which is a point at which the economy historically started to experience cost-push inflation. Inflation edges up, which is already being seen in commodity prices. The Fed finds that it is behind the curve and responds with a series of rapid rate hikes. 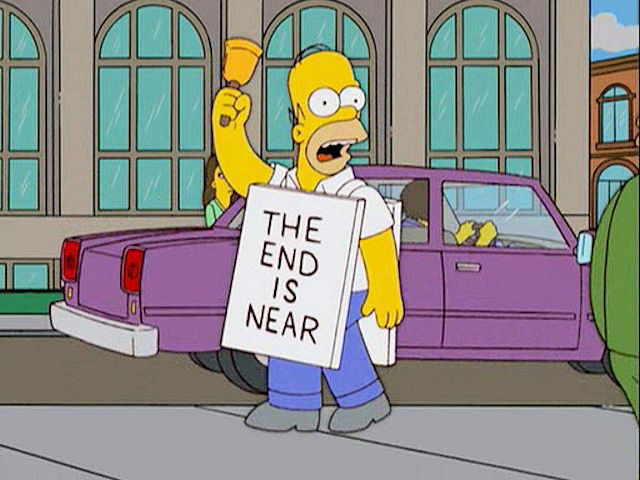 The economy slows and goes into recession. 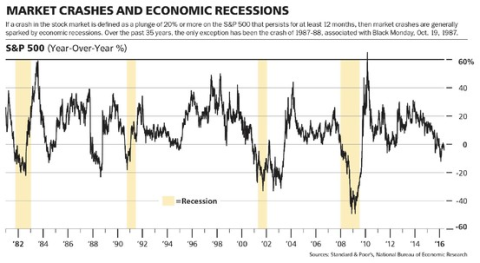 Stock prices fall as the probability of a recession spikes and a bear market begins. The biggest variable is timing. I believe that we are roughly at phase 2 of this process. Despite the possibility of a market top on the horizon, it is too early for investors to get overly defensive right now. There is still money to be made as growth expectations ramp up (see How the SP 500 could get to 2400 this year). The discussion led me to the work of James Hamilton, who showed that oil shocks have tended to precede economic recessions. If that is indeed the case, then how far is the American economy from a recession now that oil prices have spiked? The full post is available at our new site here. Call it what you want: momentum, broad based breadth, price trend. 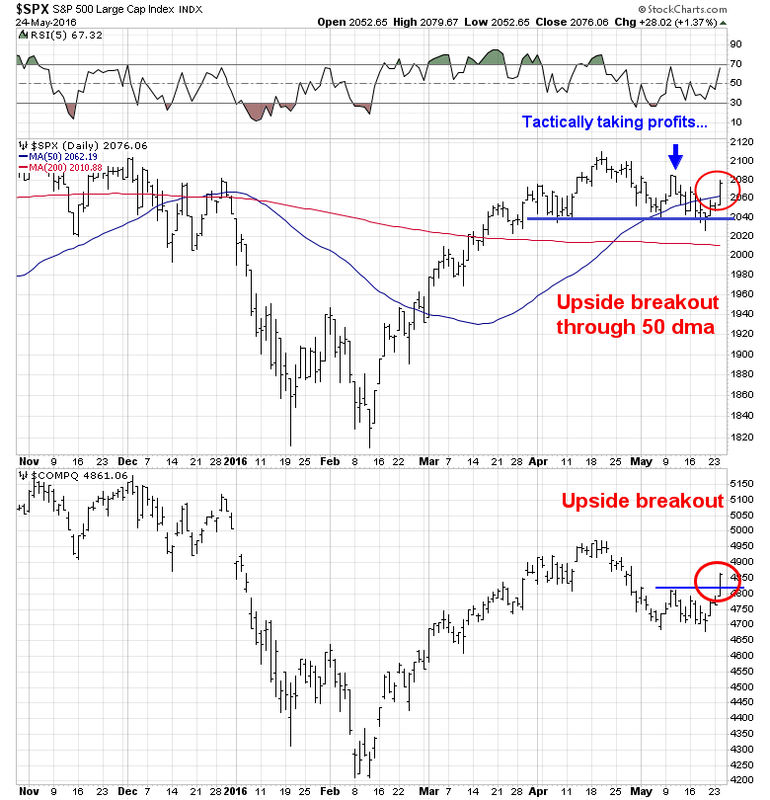 Despite the short-term consolidation shown by the stock market, the signs of positive momentum make it difficult to be intermediate term bearish. I can see it in the trading signals of my Trend Model, which turned bullish soon after the February bottom. The prolonged length of the signal is indications of momentum, trend and powerful breadth thrust.